Amico Scientific is your #1 source for laboratory equipment and supplies, and thousands of lab chemicals. We supply chemicals, Lab Grade and ACS grade, as well as Fisher Optima and EMD Omnisolv, HPLC, Spectrophotometric, Pesticide, USP, FCC, NF, USP repack, FCC repack and NF repack and more. We excel at providing top quality lab supplies and equipment to a broad spectrum of industries. We also supply a variety of laboratory chemicals (ACS grade & Lab Grade) at low prices and in quantities large or small to suit your needs. Amico distributes for major names like Fisher, VWR, Polarchem, Hanna Instruments and more with low prices. We have both retail and wholesale. If your usual source doesn’t have the product availability you need, if price increases are becoming problematic, or if you’re just looking for the best selection of and lowest prices on the chemicals, laboratory equipment and supplies you need, look no further than Amico Scientific. 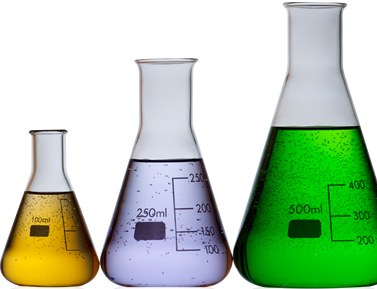 Request a quote today if you have a specific chemical (ACS grade, Lab Grade, or other). You can also contact us for more information on any of our laboratory equipment and supplies. We've built our reputation on our commitment to quality service, which has earned us many valuable customers. Amico Scientific has extremely competitive pricing. Contact Amico Scientific to learn more about any of our hundreds of available products. Our mission is to help our customers find what they need with personal service and low prices.